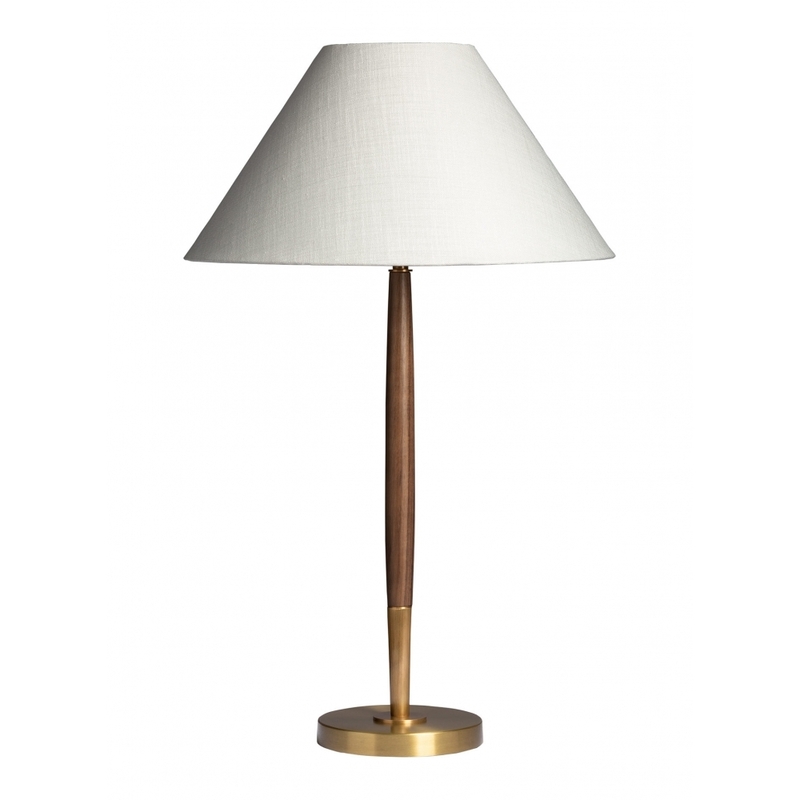 The classically inspired Ronni Table Lamp by British decorative lighting designers, Heathfield & Co, casts a sleek and refined silhouette suitable for a wide variety of interiors. The rich, dark walnut wood graining with its unique, natural patterning is beautifully enhanced by the intricately ridged antique brass accent. Combined with the Ronni Floor Lamp, this timeless lamp design with its effective contemporary edge will add a sense of exclusivity to any vintage, colonial, classic, modern or contemporary design scheme.